Licensed since 1994, real estate has been an integral part of my professional and personal life. Experience really matters and it is a big part of what I have to offer. Prior to my career in real estate, as a CFO, I had the opportunity to manage land holdings, direct real estate acquisitions, leases and build-outs. In addition to being financially savvy, I’ve honed an array of soft skills such as negotiating, problem solving and customer service and have used them to build a successful real estate business. I’m driven by a set of personal core values. It begins with the philosophy of serving with a servant's heart. This translates to a willingness to listen, set expectations and whenever possible, exceed them. If I get this right, you will think that you are my one and only client, from the first time we meet, right up to the close of your transaction. Striving for excellence is another core value for me. Listing clients appreciate the attention I take in educating them on recent sales and market trends. Since every home is unique and has something different to offer, I prepare a property evaluation designed to maximize the sales price of your home. I inspect the details and condition of the house, and discuss options on preparing and staging it so that we can be competitive from the day we hit the market! Buyer clients are appreciative that I don’t waste their time. I spend many hours previewing properties, querying agents on disclosures and reports ahead of time and show clients only the properties that meet their needs. Buyers appreciate my innovative approaches in presenting offers, sometimes getting them the house even when they were not the highest bidder. I personally oversee the escrow process and attend to issues that may arise with competence and professionalism. You will see me at all your inspections and I will be there when you sign off on closing documents. Even after the close of escrow, my commitment to you remains. Having integrity in everything I do is the foundation for developing relationships in my life. In real estate, it may mean being truthful to the Seller about what a house can sell for and not bending backwards just to get a listing; sometimes it means holding the different parties in the transaction accountable at the expense of personal comfort and always it means having a high personal code of ethics. No arm-twisting here. Instead, I see my role as that of providing you with all my knowledge and an abundance of emotional support to guide you in making the best decision. I regard each client not only as a business relationship, but also aspire to be your trusted advisor and friend. I love what I do. I know everyone says that but I really do have a passion for real estate. My favorite parts of the job are house hunting, negotiating and staging homes. I am a long time East Bay resident. I purchased my first house in Oakland, shortly after graduating college and later moved to Lafayette in 1992. In 1996 my wife, Cynthia and I designed and managed the construction of our present home in Alamo. I also own and manage several residential and mixed-use properties, which has given me a personal perspective in the area of real estate investment. As a buyer, seller and investor of real estate, I’ve profited and weathered many real estate cycles. I have raised two children in the stellar public school systems we have here and proudly share stories about life in the Diablo Valley with Cynthia and my two children, Lauren and Kevin. 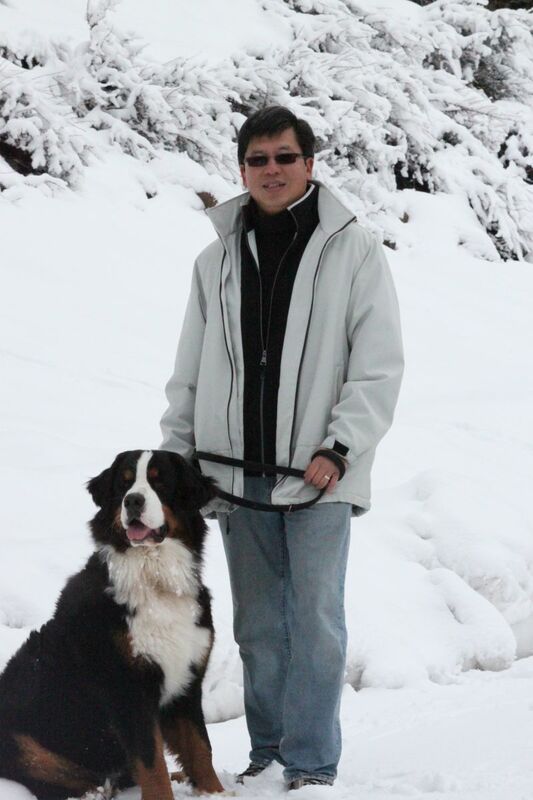 I loved coaching soccer and spend my downtime reading, golfing, and hiking with my Bernese Mountain Dog, Tobie. I have a passion for food, especially good sushi. I am privileged and blessed to lead in music worship and served as a church elder. Born and raised in Singapore, I also bring a knowledge of my Asian heritage where common sense "feng shui" principles are part of my cultural norm. Gene was recepient of Realtor.com's 2008 Online Excellence Marketing Award! Buying a house in today's market is nothing less than an adventure in the surreal. When Mary and I began the journey, Gene was our agent of choice because of his character, his knowledge of real estate and because of his excellent financial skills. Gene not only met those expectations, but he amazed us with his continued commitment to see us succeed where many just give up in frustration. As we looked at different houses, Gene took careful note to listen and understand our needs and our dreams. We felt so much better knowing that we had such a skillful and understanding agent on our team. But Gene was more than just our agent, he was our advocate. When our dream house appeared on the market, Gene discovered it for us then did what it took to help us succeed, working the deal from every imaginable angle, helping us craft our offer to be so attractive to the seller as to be selected even though it was thousands below the highest offer. Gene was recommended to me by a friend when I was going through a difficult time and needed to sell my house. Not only was Gene the best Realtor for the job, but he displayed amazing human qualities during the process. Later on Gene helped me to purchase another house and again his patience, loyalty, knowledge, optimism and support (this list can go on and on) had no limits. Today, I can proudly say that not only I have the best agent in the area, but I am very fortunate to call Gene my friend. Selling and/or buying a house can be very stressful, but Gene brings his experience to a different level of professionalism when interests of his clients always come before his own. I recommend Gene to all my friends, co-workers and anyone who would like their real estate experience to be the most pleasant and unforgettable. Brian & I thoroughly enjoyed working with you on the sale of our home. Thank you for making a stressful experience fun and positive. I have to admit that I have not always been very impressed with many residential real estate agents. You, on the other hand, were fantastic! I found your genuine and straightforward approach very refreshing. You were able to find the perfect balance in between listening to our needs and steering us in the right direction. Meanwhile, I would highly recommend you to people looking for a good broker. If you ever need a professional reference please feel free to have them call me. I would be happy to sing your praises. We found Gene through a good friend and after talking with us and visiting a few homes together, he was quickly able to determine the things that were really important to us in a new home even if we couldn’t explain, or didn’t know exactly what we were looking for! We felt like we could count on Gene 100% to advise us on things that can only be learned from years of experience. He kept us informed every step of the way and went above and beyond to see that everything happened in a timely fashion. He patiently helped us determine our best offer on our favorite house, and when things got a little tough with the bank, Gene persevered on our behalf and got everything resolved. Gene worked with us for over 5 months trying to find that right house for our son. I can't even count how many houses we saw let alone put bids on. Gene was our cheerleader, keeping us motivated and positive. Gene knew what we were looking for. Gene would look at the houses prior and only take us to ones in our price range and would be interested in. We always felt kept in the loop, and knew exactly where we stood with each property. Gene's knowledge and professionalism helped us find the house my son is very happy in today. Thank you Gene for your tireless hours of work and patience. It was a pure joy to work with Gene in the purchase of our home. He was very patient and helped explain terminology and prepare us for that important decision. 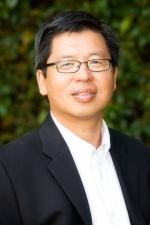 Gene is knowledgeable about the local markets and appropriate pricing strategies. He worked tirelessly to get and close the best deal for us when we were ready. We were able to buy and close in less than 30 days, as well as, sell my condo and close that in under 20 days.